Everything shall be automated. Some people posit this as being a bad thing, and some people celebrate the convenience it represents. 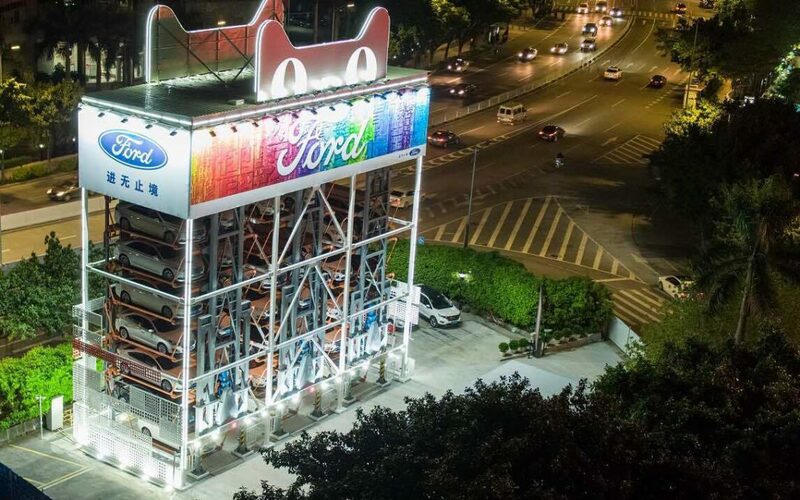 A giant car vending machine for me is closer to the kind of future I want – there is humor there, and it provides a welcome relief from the dystopian overtones. Unfortunately the likelihood of being able to bump the vending machine and get an extra car is probably pretty slim. Wacky but practical machines is where we should be at, because to be honest the future seems fairly beige so far. If you think back to the fifties and the sixties, and even the seventies, the designs for the future were pretty out there. I don’t think that it was all the drugs that made this popular – I think that there was a lot more of a problem solving mindset being employed, that saw the problems as being surmountable if you just sat down and thought about it. I love the mad scientist aspects that Elon Musk brings to the game, and Richard Bransen has some of that going on too. We need pitch battles of intellect between figures like Edison and Tesla to inspire new generations of thinkers. Stephen Hawking represented a very big source of inspiration for people, and his announcements would generate a lot of interest. Keeping things moving along and people thinking outside the box is very conducive to solving problems in ways that we might not have thought of otherwise. It is always interesting to see how much interest the science community has in science fiction, and vice versa – almost as if imagination primes the pump, for the real work of science. Arthur C. Clarke, Star Trek, Batman – there are a number of people and shows working in the realms of imagination that are sources of direct inspiration for scientific developments. Lets Build A Fun Future! I always wondered why there weren’t more production lines spun out of concept cars, but aspects of these designs seem to slowly filter through. Cars used to seem so much more interesting in the fifties, with all those muscle cars, and each automobile maker invested in creating something that looked and felt different – nowadays, without a badge on the front you could pass through the sea of SUVs and not be faulted for failing to know which was which. I am not sure I like living in an era where all the significant changes are under the hood – it is my biggest problem with Apple – that things still look the same, and only the software and the internal hardware changes. I liked the flare that Jobs provided – giving us an aesthetic as much as a functional object. Most computers are kind of ugly boxes that are carrying cases for a portal via which you can access the world – Jobs used to communicate the magic in this. Musk does some of that. Bransen does some of that. But there is not enough. I suppose beige is cheap. Magnolia paint is cheap. Burgers are cheap. Find the mold and pump it out, and everyone will love the cookie-cutter product. We should be worried less about being taken over by robots than becoming robots. you have to throw the human in there – have to throw the curveball; have to promote the sense of humor, and save the whole enterprise from being a snorefest. Put cat ears and eyes on your car vending machine.